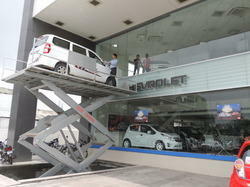 We offer Car Elevator that is ideal for lifting cars from one floor to the other. 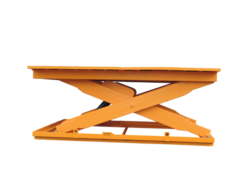 These hydraulic lifts does not require any head room or pit and it only requires power while going up. In case of a power failure, one can even come down manually. 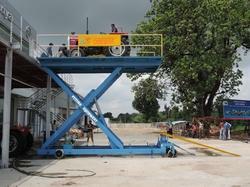 Car Lifts specially designed to move heavy in industrial units. The elevator system can be incorporated in both geared and gear less traction elevators and employs heavy duty gears. The elevator can carry loads up to 6 stores. Door opening can be extended up to 2 meters for smooth transmission of goods. We have been thriving for achieving our goal of giving our clients the best service possible the company keeps itself well versed with the inventions and innovations in elevator industry to further evolve ourselves for the betterment. We offer installation and maintenance service for our products. Platform can incorporate conveyor, personnel station, boom gates, light curtains, hand rails, load flaps, special surface treatments, checker plate. 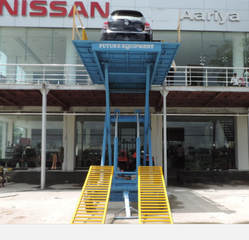 We offer Car Elevator and Lift that is ideal for lifting cars from one floor to the other. 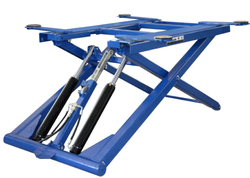 These hydraulic lifts does not require any head room or pit and it only requires power while going up. In case of a power failure, one can even come down manually. 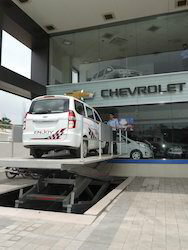 We offer Hydraulic Car Lift that is ideal for lifting cars from one floor to the other. 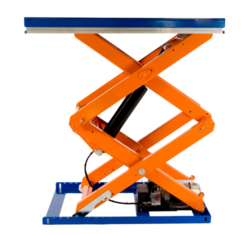 These hydraulic lifts does not require any head room or pit and it only requires power while going up. In case of a power failure, one can even come down manually. • Choice: length, width, & capacity as per Requirement. 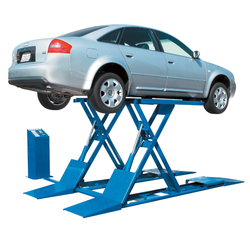 We offer Hydraulic Scissor Car Lifts that is ideal for lifting cars from one floor to the other. 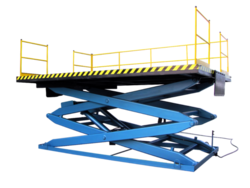 These hydraulic lifts does not require any head room or pit and it only requires power while going up. In case of a power failure, one can even come down manually. 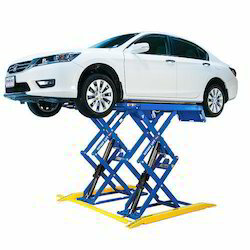 We are the leading manufacture and supplier of the Workshop lifts used in various automobile Industry. 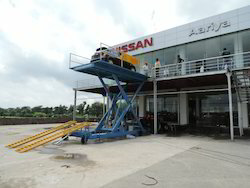 We are the leading supplier and manufacturer of Future Hydraulic Car Lift. 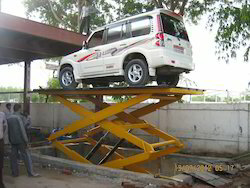 We are the leading supplier and manufacturer of Garage Car Lift. 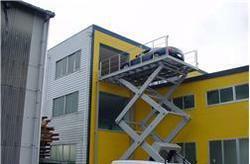 We are the Manufacturer of Car Garage Lift.